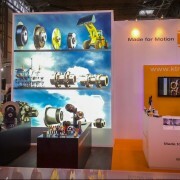 As everyone knows exhibitions have become an ever popular meeting platform for businesses to connect with other businesses and their audiences. In a crowded space, jam packed with information overload from numerous exhibitors it is vital to maximise the potential of your allotted space and stand out. 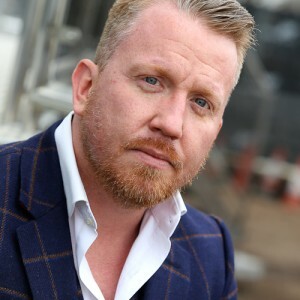 It provides a perfect opportunity to connect with audiences on a mass scale, however if you don’t do right, your time, effort and most importantly money is wasted, and this exercise just becomes a cost to the business. However, if done right, you can really reap the rewards. 2016 is shaping up to be a very exciting year for exhibition stand design thanks to a number of technologies that will enable advertisers to promote themselves in more captivating and interactive ways. Interactive Screens: Although this isn’t necessarily a new technology, not many exhibition stands took advantage of interactive screens, meaning that they are losing out on promoting themselves to potential new customers as effectively as they could be. Incorporating an interactive screen, wall or floor into your exhibition stand design will help to engage visitors, enabling them to connect with your brand in a way that they never have done before. At the same time, using an interactive screen will help you get your message across to visitors more successfully thanks to the use of graphics, images and videos. QR Codes: Exhibition visitors tend to be very busy people, therefore it is vital that you grab their attention as quickly as possible, especially when they are attending an extremely popular exhibition. One of the best technologies to ensure that this happens is Quick Response codes (QR Codes for short). These provide links into your website, online material or mobile apps and, as the QR codes are saved on the mobile device, it enables the user to return to your online information after they have left the event. This means that, even after the event has finished, the user still has access to your information. Augmented Reality: This enables computer-generated graphics to overlay the real world and can be accessed easily through applications that have been developed for mobile devices. The benefit of augmented reality is that you can merge the real world alongside virtual graphics, allowing you to present your data in a way that you might never have previously imagined. In addition to the aforementioned technologies, there are additional options available to companies these days that will help your exhibition stand to become an even greater visitor experience. As we all know, the main objective of promoting your company and products via an exhibition stand is to remain in people’s thought once they have returned home and, thanks to these new technologies, there is no reason why you shouldn’t be achieving this goal every time. Derby Ice Rink Now Open! Showplace is delighted to announce that the Derby Ice Rink is now officially open once again in Derby’s Market Place until Tuesday 5th January 2016, courtesy of Showplace Events in collaboration with Derby LIVE. Last year the festive ice rink proved to be a popular attraction with over 19,000 visitors gracing their skates on the ice! A further estimated 100,000 visitors enjoyed the beautiful Christmas setting in the Market Place, making it the perfect festive day/night out with friends, family and colleagues. However, it doesn’t end there, the ice rink also plays host to local Christmas market stalls offering a variety of exciting activities and entertainment, an ideal place to spend a wonderful wintery day! Although only in its 3rd day since opening, the ice rink has received much popular coverage, covered on local television and radio, including our media partner Capital FM, which has helped to raise its awareness and boost popularity amongst the Derby locals. We know this year’s ice rink will deliver everything promised – an exciting, festive and fun filled day, and we look forward to greeting you on the ice! https://www.showplace.co.uk/wp/wp-content/uploads/2015/11/DSC_3235-3-800x415.jpg 415 800 Jamie https://www.showplace.co.uk/wp/wp-content/uploads/2018/11/logo-light-new.png Jamie2015-11-30 16:21:072015-11-30 16:22:41Derby Ice Rink Now Open! The Wales Rally GB, dubbed the ‘Rally of Legends’ hosted the final round of the FIA World Rally Championship from Thursday 12th November until the 15th. The event delivered what it promised, the dramatic finish came as last year’s winners Mike Faulkner and Pete Foy benefitted from a late misfortune for long-time leaders Jock Armstrong and Paula Swincoe, with Brenig to steal an unexpected second consecutive victory. 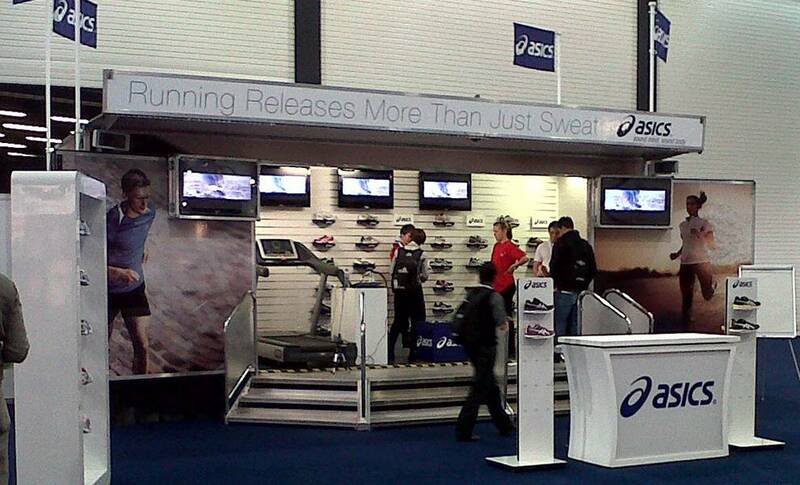 Showplace worked with a long standing client, Performance Clothing, to provide a high end mobile retail unit solution at the dynamic event. The unit enabled the client to raise brand awareness, provide customers with a better shopping experience as well as most importantly increasing sales with affordable rental costs. 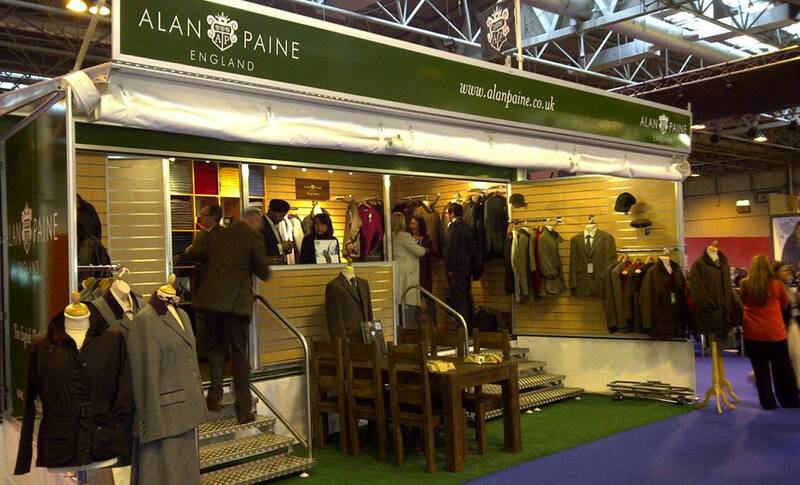 If you’re looking for a high end, flexible and luxury retail solution, Showplace have the perfect event solution for you. With the ease to meet all client requirements and deliver the product at an affordable cost without compromising value, get in touch with us now! 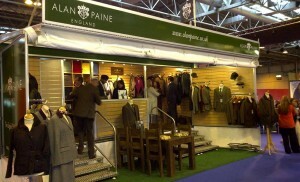 You can ring the sales team on 01789 262701, or send an email to info@showplace.co.uk. 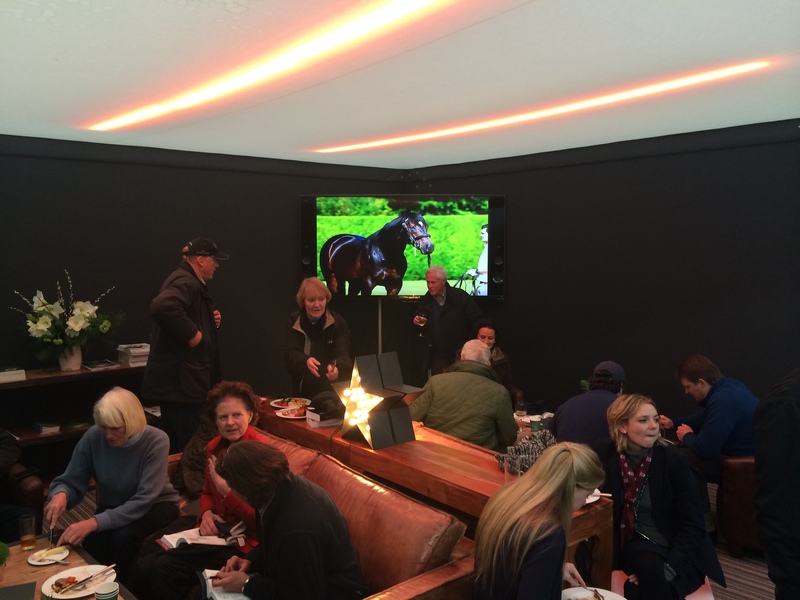 The Showplace team took a field trip down to Newbury to the Showman’s Show on Wednesday 21st. This gave the team a great opportunity to meet our existing clients, liaise with event suppliers and meet potential new clients. 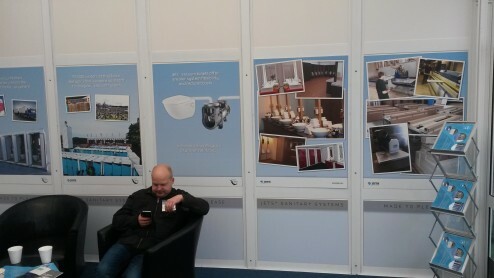 Having exhibited at last year’s show, we knew we were in for a great, informative and constructive show, and it certainly didn’t dissappoint! The Show was jam packed with a large array of exhibitors, offering friendly and professional help, advice and creative ideas, providing itself with an exciting exploring opportunity. 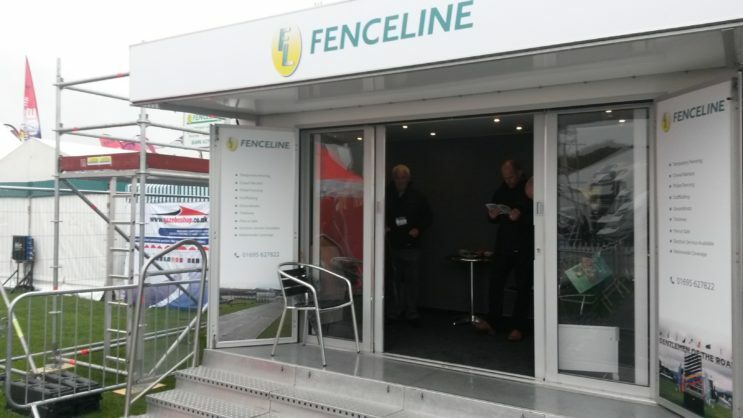 We provided the event exhibition trailers and event structures for numerous of our clients including Fenceline, Flexiloo and Signature Systems who were exhibiting at this year’s Showman’s Show. 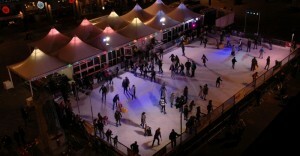 This year brings the 6th consecutive year of the ever evolving and successful Derby Christmas Ice Rink. The ‘real ice’ rink has been brought to the historic and beautiful city of Derby courtesy of Showplace Events in collaboration with Derby LIVE. The fun filled and popular attraction will be open from 1st December 2016 until the 4th January 2017. Last year over 19,000 visitors graced their skates on the ice, with a further estimated 100,000 visitors enjoying the beautiful Christmas setting in the Market Place, and why wouldn’t they, with its offering of a wide range of activities and entertainment for its audiences to relish, it’s the perfect place to spend a wintery day with friends, family and colleagues. Plans are now in motion to prepare for another exciting and successful year. Yesterday, our Operations Director, Rob Goodman, and Project Manager Ayla Stuart took a field trip down to Derby to meet with local businesses in regards to sponsorship, with some promising things lined up, it’s still not too late to get in on the action! 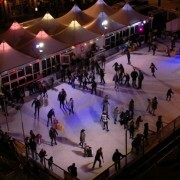 This exciting and seasonal attraction offers great opportunities for local and national businesses, with loads of ways for businesses to connect with skaters and potential shoppers, we can help advise on how best to bring your brand to the ice and make an impact on the people you want to communicate with most, Christmas Shoppers! 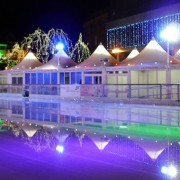 For more information on the Derby ice rink 2016 please visit www.cathedralquarter3aaaicerink.co.uk. A couple of weeks ago our director, Zak Roby, was interviewed by the Event Brite magazine about the future of events. “What are the best, and easiest ways to do market research and establish if there is a demand for such an event with a low budget?”. Discover his answer to the above questions, and much more, by reading the full interview. In this day and age it is vital that companies don’t rest on their laurels and expect new customers to find them, as there are now so many other businesses that are willing to do everything in their power to ensure that they get in there first. The solution? Be proactive, not reactive. However, it is important that you choose to attend the right exhibition and event because your event space has to meet your needs, as well as those of your target audience. Remember, there are many other companies’ that want to take your potential customers from under your nose, therefore it is essential that you go the extra mile to ensure that you blow your competition out of the water. Taking your brand on the road offers a wide number of benefits, including increasing awareness of your products/services across multiple geographical locations. This opens you up to a greater audience which, all being well, will result in your brand growing exponentially. Discover the ways in which Showplace can take your brand to the next level via the links below. You might already have a firm idea what works for you, and what doesn’t, when it comes to an exhibition stand, however there is always room for further improvement. So, on that note, here are a few pointers that might help you during the next exhibition you attend. 1. Don’t Have Too Much on Display: Although it might be tempting to show off your entire product range, doing so is far more likely to distract your viewers from what you are trying to highlight. So, keep things simple and ensure that you don’t have too many things on display. 2. Don’t Have Too Little on Display: On the other side of the coin, it is also vital that you don’t have too little on display as this can appear that you have nothing to offer the potential customers who are viewing your exhibition stand. Ultimately, if it looks like there’s too much on display, or too little, then you need to address the problem or else you won’t achieve what you are hoping for. 3. Lights, Light, Lights: Poor lighting produces poor results. 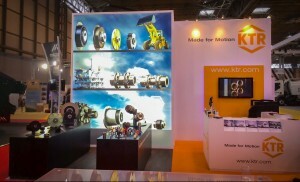 Make sure that your exhibition stand is well-lit and highlights your company, your products and, of course, your stand in the best way possible. 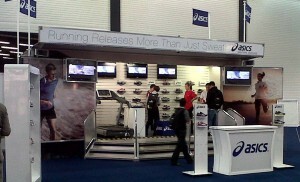 It’s amazing what a well-lit stand can achieve, especially when it comes to tempting viewers to head in your direction. 4. Look Interested: There is nothing worse than attending an exhibition and seeing support-staff standing around looking fed up, so make sure that you retain a strong interest in your visitors and the products/services that you are promoting. How about giving out leaflets to visitors who pass by your stand to make them aware of what you have to offer, or even have a walk around the exhibition yourself to help start a conversation with potential visitors. Another good tip is to make sure that you don’t spend too much time chatting to the rest of your team. This leads to missed opportunities due to you appearing too busy to help potential customers. 5. Keep Your Stand Clutter Free: Feeling peckish over lunchtime? If so, make sure that you eat/drink away from your stand because your visitors don’t want to see your half–eaten sandwich and can of Coke sitting next to the products that you are trying to promote. 6. Make Sure That Visitors Remember You: Free gifts, free samples, leaflets and brochures are just a number of ways to ensure that visitors will remember you once they have moved away from your stand, so don’t make the mistake of letting potential customers forget about your existence the second the leave your stand. 7. 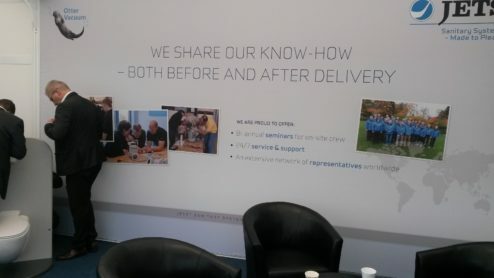 Hire Showplace to Design Your Stand: Our experience within the industry will highlight your company in a highly professional and attractive manner which will result in your stand catching the eye of every potential customer in the room. 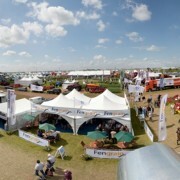 Please contact us for all enquiries, including outdoor structures and exhibition trailers. 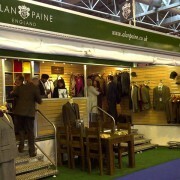 https://www.showplace.co.uk/wp/wp-content/uploads/2015/07/29-client-ALan-Paine-Event-MODA-Location-N.E.C.-Birmingham.jpg 600 990 showplace https://www.showplace.co.uk/wp/wp-content/uploads/2018/11/logo-light-new.png showplace2015-07-24 08:25:592015-08-28 13:56:43What Makes a Good Exhibition Stand? Despite popular belief, there is a lot of room for creativity within a temporary event structure. The walls alone offer great scope for branding and display screens, there’s furniture, lighting and layout to consider as well – not to mention catering! The number of people you are expecting has a significant influence on the layout of the structure. Are you going to treat your guests to full hospitality, lunch and chilled champagne? Food will need cooking and bottles will need to be kept cold, this all takes up room! Are you selling from your structure? If so you will need space to store stock, maybe an area suitable for demonstrating your products too. Weather. The Great British Weather. 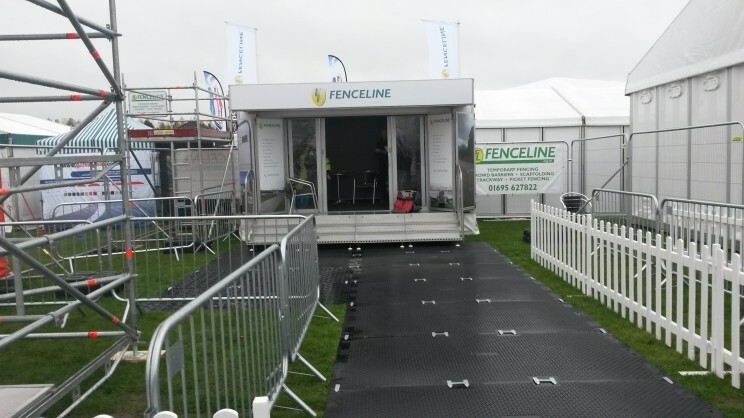 If you are planning to exhibit or host an event in the winter, it might be worth making sure there’s space for wet umbrellas, heating to keep guests warm, maybe a coffee machine? Does this sound like a headache? You’ve probably got enough on your to do list already without having to worry about which table goes where, but you know it matters because you want your visitors to feel welcome. 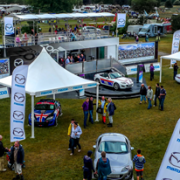 We have 25 years of experience providing hospitality structures for motorsports events, numerous high profile clients (see website) and hundreds of small and medium sized businesses. This puts Showplace in the best position to provide you with the perfect structure to help you showcase your business, it’s achievements and celebrate it’s success. 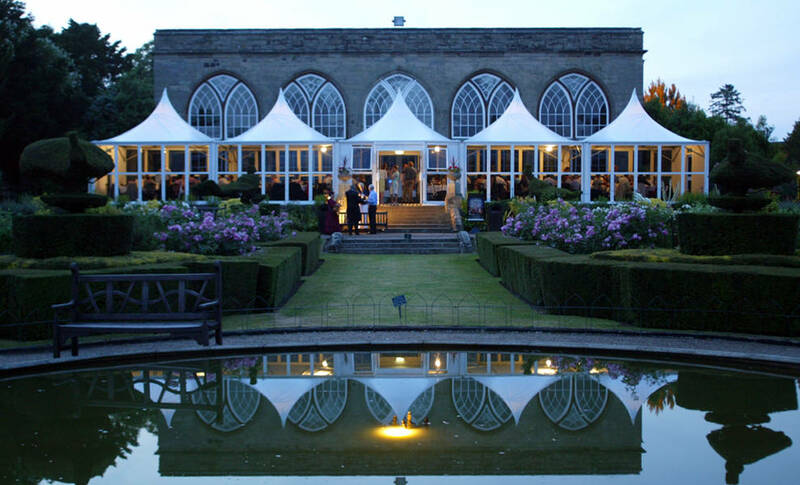 What could be easier than turning up to your event structure on the big with EVERYTHING ready to go? It’s all part of the Showplace turn-key service. 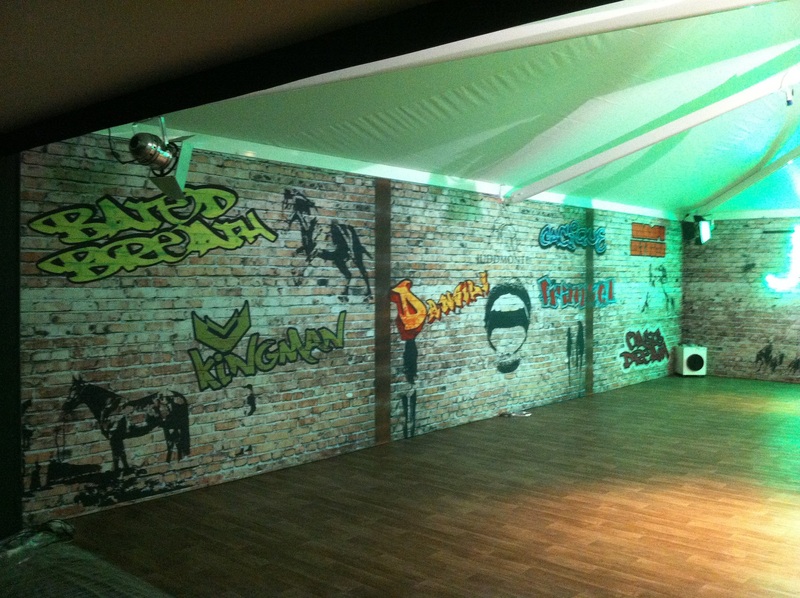 Would you like a sneaky peak inside one of our structures? Our team helped the client create the image they wanted by getting creative. Comfortable seating and high quality screens. 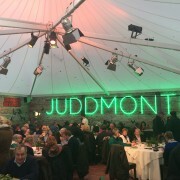 Great use of the structure wall in the Juddmonte structure. Temporary Event Structures – Yuk. 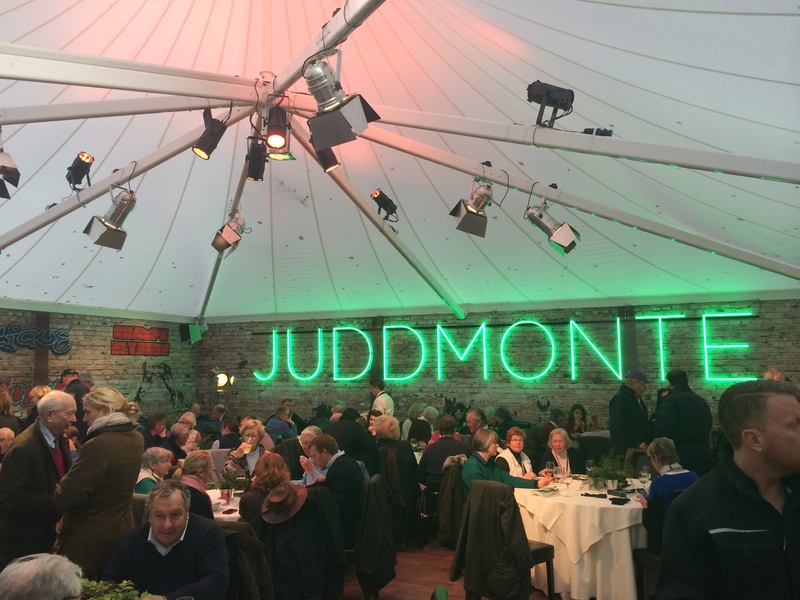 Cold cumbersome white tents for sitting in whilst you listen to dull speeches and eat average food. MAKE THESE A THING OF THE PAST!! Fully branded slick designs that transport your guests into the perfect environment for your business. Giant screens, product displays that resemble works of art, fantastic graphics and all the comforts of a smart hotel. 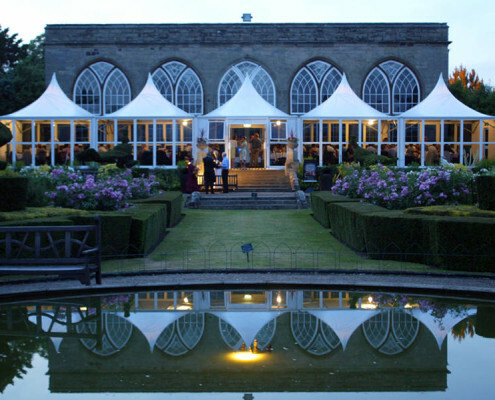 A Showplace Event Structure at Warwick Castle for a product launch. Working with high profile clients on a regular basis keeps everyone here at Showplace on their A Game. The teams work together with the organisation of a military operation and the accuracy of a Formula 1 Pit Crew to produce temporary event structures that can show a business off to it’s best. Skandia needed their temporary event structure to accommodate hospitality areas, walk ways and fantastic viewing at Cowes Week. 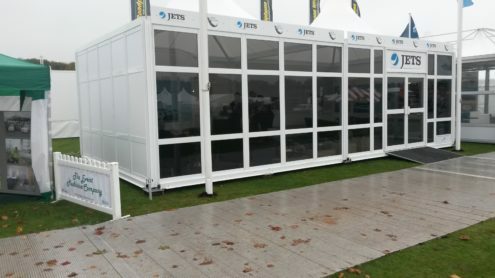 Choosing the right temporary structure for your event is important, if you are inviting a select few of your best customers to a preview of your new products you probably won’t want a structure the size of a Rugby pitch – one of Showplace’s Moda structures will provide the appropriate atmosphere. On the other hand, if you are sponsoring a prestigious sporting event and need space to show off new designs, serve a three course meal to two hundred people and provide ample viewing of the pitch/racetrack/court you are going to need something suited to a much bigger scale. 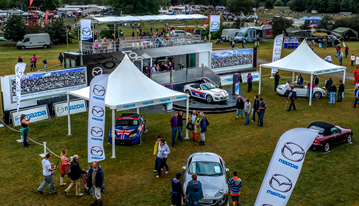 If you’d like to discuss our temporary event structures and how we can help you, get in touch with Showplace today.